I write to express concern for the treatment of prominent UK-based Bahraini activist and Director of Advocacy at the Bahrain Institute for Rights and Democracy (BIRD), Sayed Ahmed Alwadaei and that of his family, and urge you to sign EDM 509 to draw the government’s attention to the matter. Sayed Ahmed Alwadaei, having sought refuge in the UK to avoid persecution and torture in Bahrain, has been targeted in reprisal for his human rights activities in the UK. His mother-in-law, Hajer Mansoor Hasan, brother-in-law, Sayed Nizar Alwadaei, and maternal cousin, Mahmood Marzooq Mansoor, lost the appeal against their three year sentence on 20 December 2017. Their conviction is based on nothing more than fabricated charges and false coerced confessions. In September 2017, six UN experts expressed ‘grave concern’ at the Bahrani government’s attempt to intimidate and impair the human rights activities of Sayed Ahmed Alwadaei. The victim of the most recent bout of reprisals against Sayed Ahmed is his wife, Duaa Alwadaei, who was issued with court summons to attend a hearing at the Bahraini Criminal Court on 26 December 2017. Duaa was physically mistreated and threatened with criminal charges following Sayed Ahmed’s participation in a protest against the visit of the King of Bahrain at 10 Downing Street in October 2016. Since Duaa resides in the UK, her trial will be held in absentia. 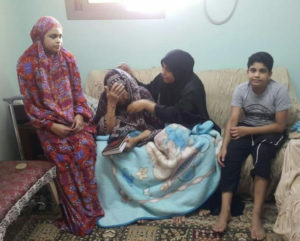 Human Rights Watch has labelled the targeting of Sayed Ahmed’s family as ‘collective punishment’ while Amnesty International has described the actions of the Bahraini authorities as an ‘attempt to muzzle’ Sayed Ahmed. The Foreign and Commonwealth Office have done little to address the situation. I therefore urge you to sign EDM 509 to raise awareness and prompt a response from our Government.